Champions has a great solution for busy working families, before and after school enrichment programs right inside East Gresham Elementary School starting this Fall! A variety of group and individual activities are designed to keep your child exploring and growing. From art, dramatic play, music, motor skills, and problem-solving, to science, technology, language, math, and homework assistance, we help your child continue learning and developing essential life skills, whether school is in session or not. 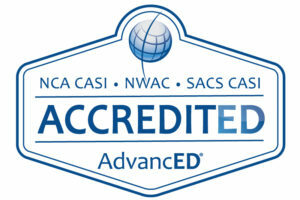 Champions is proud to be awarded corporation accreditation from AdvancED, a global leader in advancing excellence in education through accreditation.